The conference will be jointly organized by Prof. Dr. Burkard M. Zapff, Chair of Old Testament Studies at the Catholic University of Eichstätt-Ingolstadt, and Maria Groos honorary chairwoman of the non-profit association Knotenpunkt – Begegnung verbindet e.V..
Burkard Zapff works mainly in the field of Old Testament prophecy (Isaiah, Book of Twelve Prophets) and the book Jesus Sirach. He is currently working on a cooperation project on the DFG-funded creation of a diplomatic synopsis of the book Jesus Sirach and the creation of a Micha commentary in the IEKAT series. Maria Groos is co-organizer of the three international conferences on the Theology of the Body in Eichstätt. She has completed the course of study on the Theology of the Body at the Phil. Theol. Hochschule Benedikt XVI. in Heiligenkreuz near Vienna and is a certified TeenSTAR course instructor. She works as a pharmacist for drug information and nutritional advice in a pharmacy. 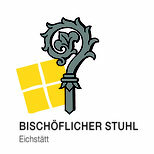 Cooperating partners are the Episcopal See of the Diocese of Eichstätt, and TeenSTAR Deutschland e.V.